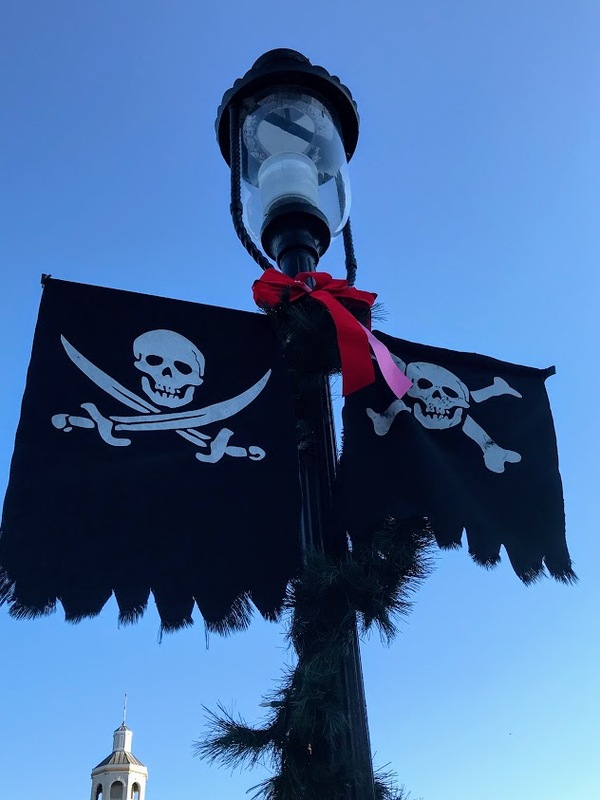 Pirates Voyage Myrtle Beach – ARRR You Ready for Christmas? 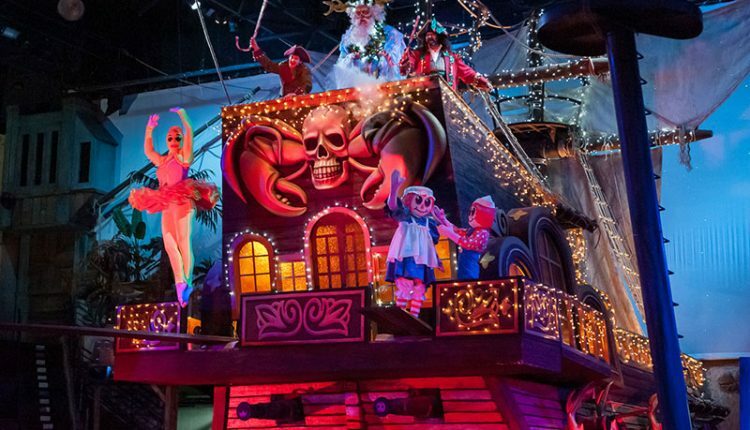 Pirates Voyage Myrtle Beach is one of those “must see” places that you find on almost any vacation. With lots of movement and energy, it’s a show that captivates both youngsters and grownups. Pirates leap, fires rage, and even mermaids make a brief appearance. It’s high seas fun for the entire family. 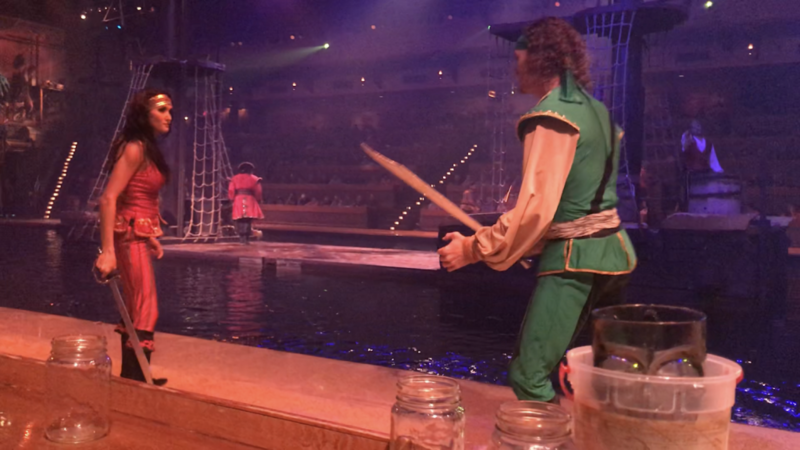 My family recently had the opportunity to be a part of the Christmas Dinner & Show offered by Pirates Voyage Myrtle Beach, and we could all see just why this show is so popular, and it’s no wonder. After all, with this being part of the Dolly Parton Company, it’s bound to be an exciting event. 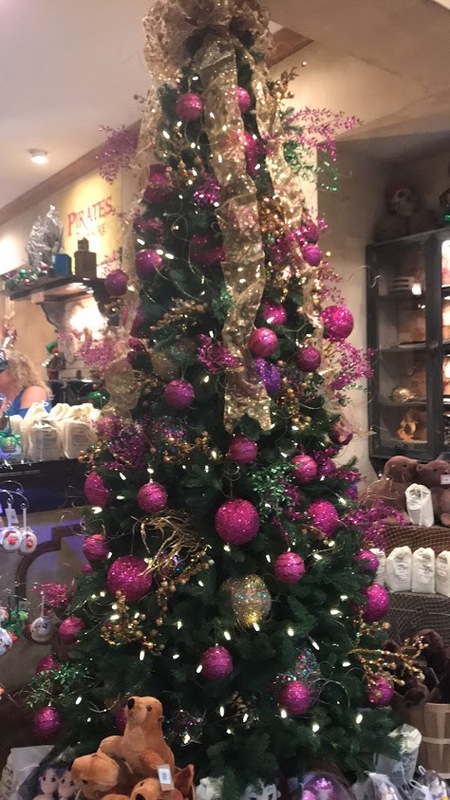 Christmas at Pirates Voyage is a swashbuckling take on one of the most beloved of all Christmas stories – Charles Dickens’ “A Christmas Carol”. 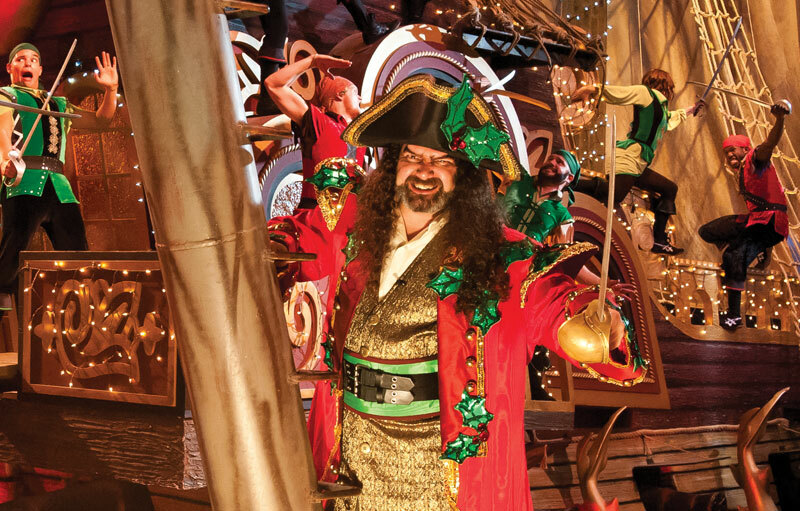 Guests set sail with Captain Scrooge as he travels to the past, through the present, and to the future as he rediscovers the true spirit of Christmas. The doors open for the show about 50 minutes before the performance, and I encourage you to take your time and enjoy what Pirates Voyage Myrtle Beach has to offer before the show. The pre-show begins in the Pirates Village and features cast members dressed in pirate regalia entertaining the audience with some holly jolly pirate tunes. Of course, there is plenty of laughter with their shenanigans and some pretty amazing acrobatic feats! Plus, guests will be oohing and ahhing as the sea lions come out for a little holiday entertainment! If you want to make the experience even more memorable for the kids, you can pay an extra $19.99 per person to Join the Crew. 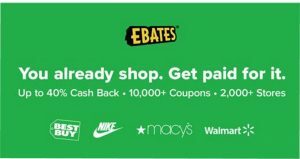 This includes face painting, costume accessories, and flags to really get the kids into the pirate spirit. I recommend reserving a spot for this beforehand, as it’s quite popular. You will also want to walk around to check out the decorations. Everywhere you look you are sure to see signs that Christmas is near! 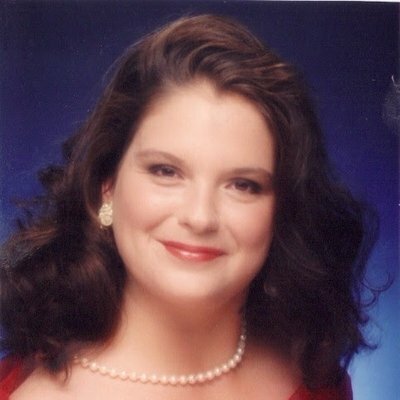 Included in the price of the show is a four-course holiday feast. You are served by “deckhands” that are terrific! They are very efficient and remain in character, answering every request with pirate lingo! 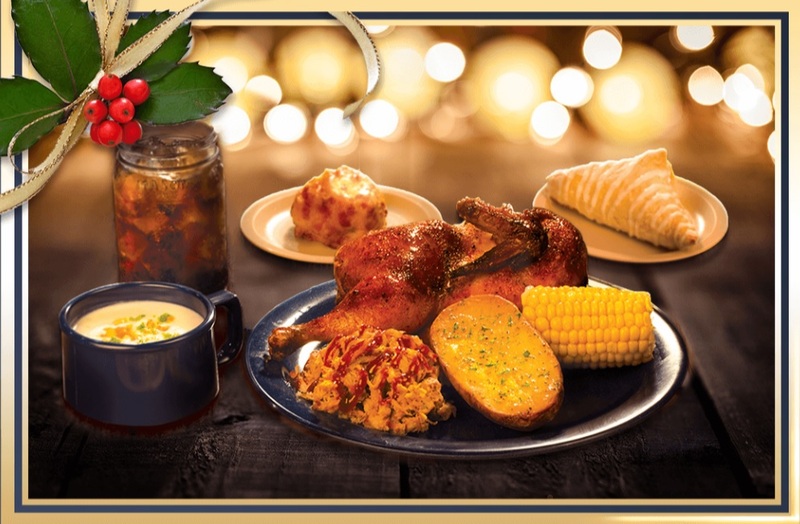 While we took in the show of Captain Scrooge’s journey out of Grinchdom, we were treated to their famous Voyager Creamy Vegetable Soup, Buccaneer Bread, Half O’ Roasted Cackler (chicken), and the Captain’s Barbecue Pork. Their other veggie options included corn on the cob and seasoned potato. We finished off the very big meal with a warm serving of Apple O’ Me Eye Pie! There is a vegetarian and gluten-free option available upon request. They even provide warm wet-wipes after the meal to clean up hands and faces! 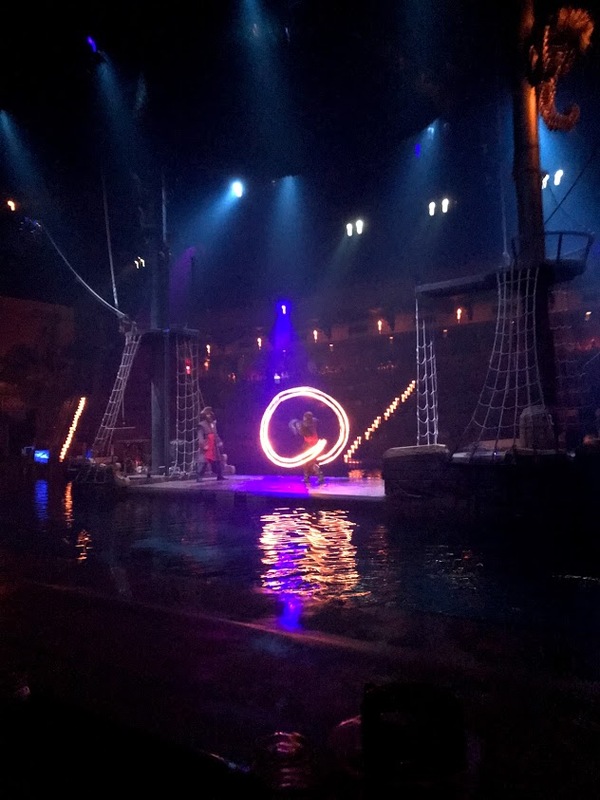 Be prepared to be entertained by pirates, animals, and more during the show. As someone that has been to quite a few dinner shows, this is by far one of the most entertaining! This is one show that keeps you engaged from start to finish! Once you enter the theater, you will be assigned to either the Crimson or the Emerald pirates. 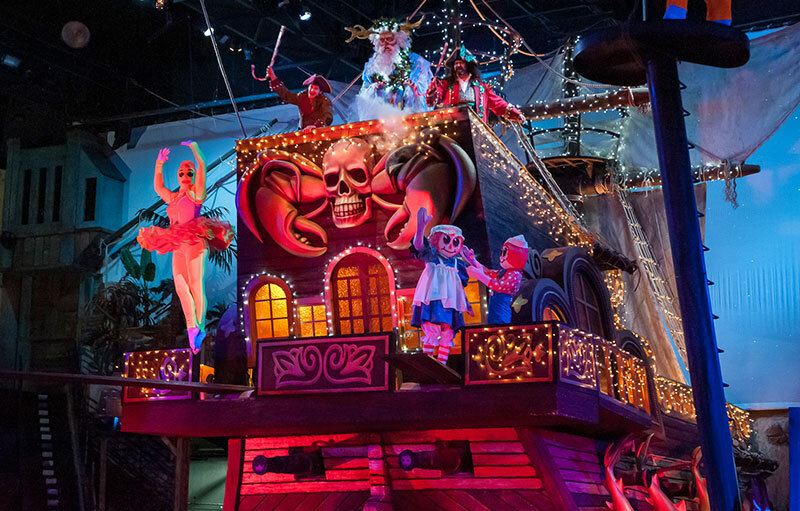 Throughout the show, you will cheer on your pirates as they battle it out for Captain Scrooge’s treasure! This definitely makes for a fun interactive element. They even bring the kid’s right into the action by selecting a few pirates to assist the Crimson and Emerald sides as they battle it out in some fun games. Kids and adults alike chase after ducks, fill up water buckets, and more. They even bring out dogs to do a few tricks! 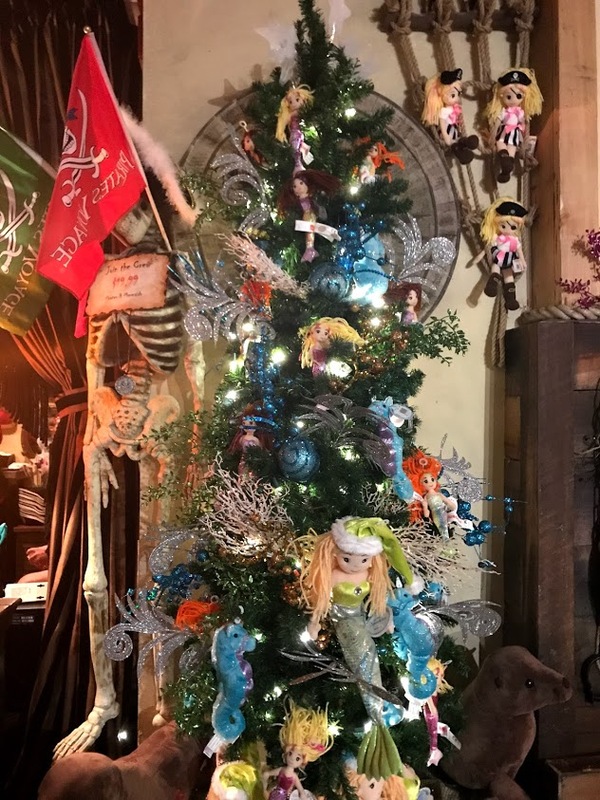 But this show is more than just the high tide excitement in Buccaneer Bay, it’s a journey to discover what the true meaning of Christmas is all about! The crowd is taken on a magical, pirate-filled holiday adventure when Captain Scrooge refuses to celebrate Christmas with his crew. 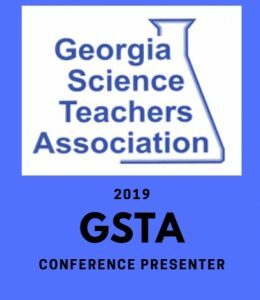 As you might expect, this prompts the appearance of The Ghost of Christmas Past, The Ghost of Christmas Present, and the Ghost of Christmas Future. 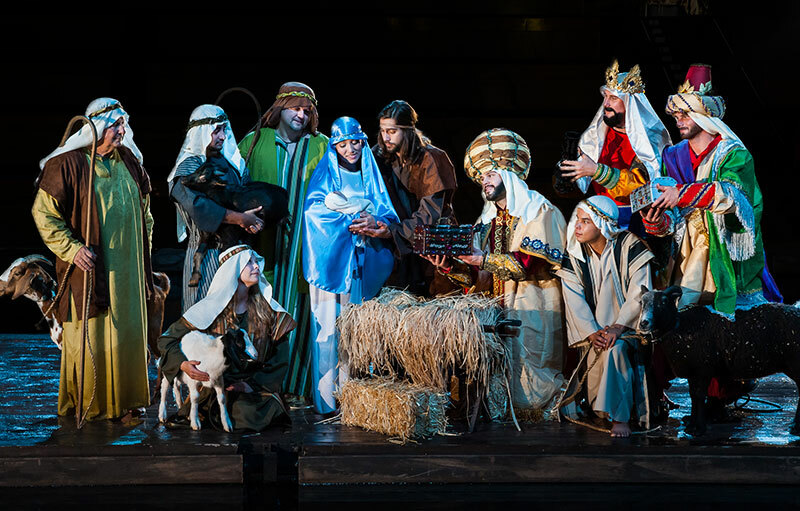 Through it all, we saw all the classic swashbuckling moves that the non-holiday version of the show is known for, as well as a Nativity scene featuring live animals, holiday songs and dance routines, and a stellar finale which I will not spoil for anyone. I would be remiss if I didn’t include the resort where we stayed in this post. Pirates Voyage Myrtle Beach is an amazing show, but it’s made even better when you have a wonderful place to crash after all the excitement. 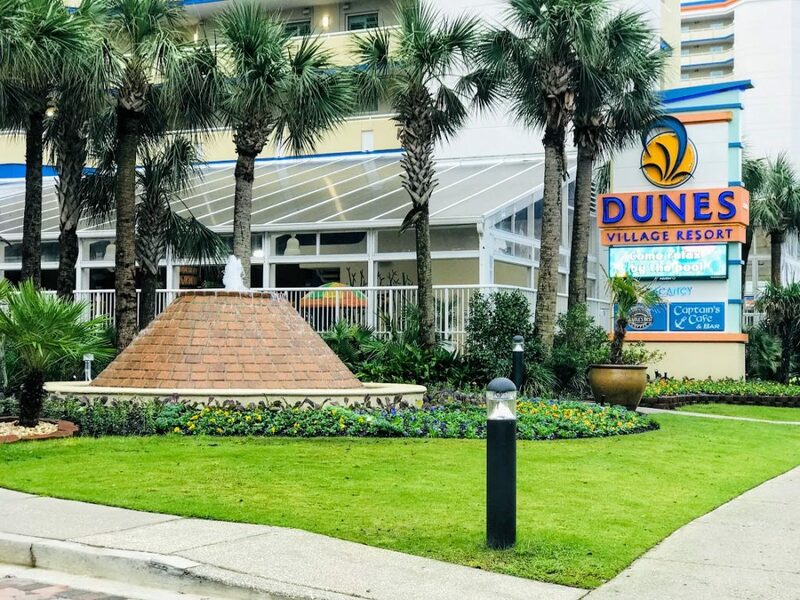 My family used Condo-World to secure a spot at Dunes Village Resort, and it was the perfect hub for our trip. It’s easy to see why it’s voted the #1 family resort in Myrtle Beach by the Today Show. 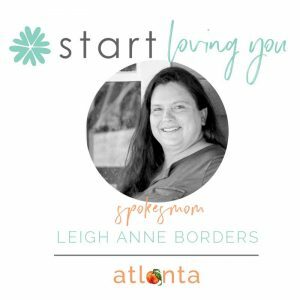 Condo-World listened to our family’s needs and found the perfect location for us to meet our needs. The resort features two indoor water parks, one to four bedroom oceanfront condos, on-site dining, a wide variety of activities, and more. It makes a perfect home base for any trip to Myrtle Beach. I know my family and I thoroughly enjoyed our time there. I cannot recommend the Pirates Voyage Myrtle Beach Christmas show enough. The energy begins outside the show, and it continues all the way through. Our family was glued to everything from the moment we stepped foot into Pirates Village until the moment we left. It was an experience that we’re still talking about, and that’s the hallmark of a great outing, in my opinion. 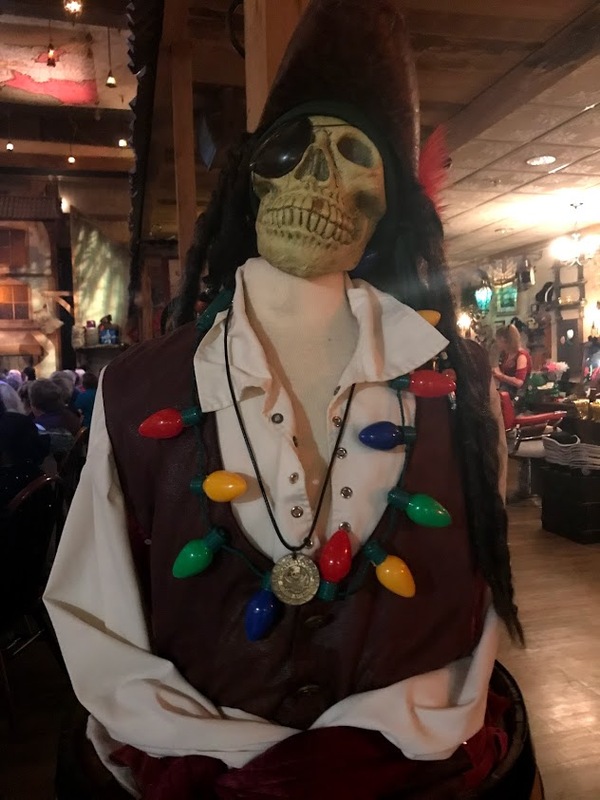 So if you’re planning a trip to Myrtle Beach this season, be sure you see the Pirates Voyage Myrtle Beach Christmas show. It’s a high-seas, holly jolly time!